The community centres of my youth were pretty dank, run down places, not anymore. 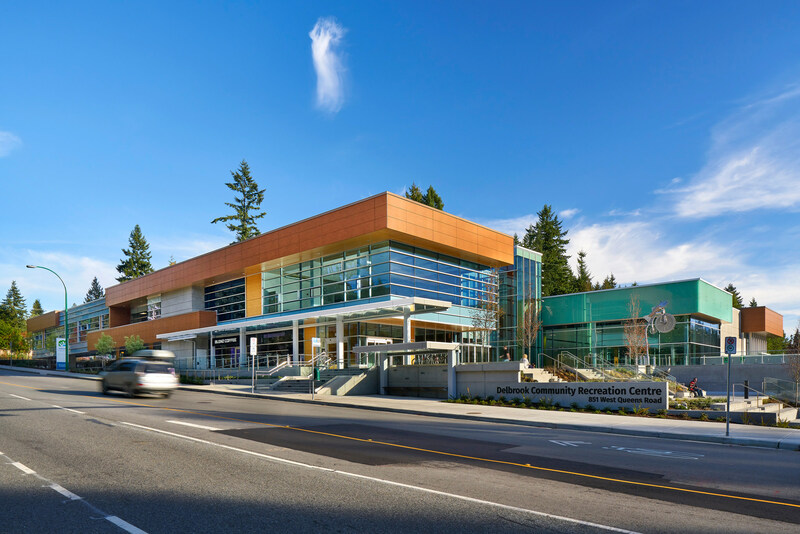 Delbrook Community Centre in North Vancouver is all wood and glass tucked between streams and trails in the woods of nearby Edgemont village. If the pools, gyms or community spaces are not enough then maybe the four fields or skateboard park will keep you busy. Pretty cool space to hang with your community and keep active.